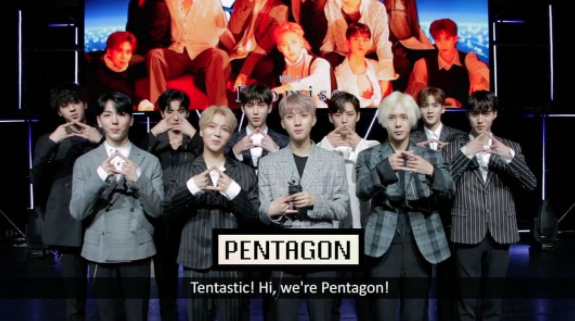 GOKPOP | Exclusive K-News in Malaysia & Singapore: MTV ASIA GIVEAWAY: Flash Pentagon's 'Like This' Dance Moves to Win Exclusive Prizes! MTV ASIA GIVEAWAY: Flash Pentagon's 'Like This' Dance Moves to Win Exclusive Prizes! Rookie Kpop group Pentagon recently drops the 4th mini album 'DEMO_1' and the boys talked about their latest album and what they have been up to lately during an interview with MTV Asia. Asides, MTV Asia announced an exclusive giveaway for YOU! Follow Pentagon's 'Like This' dance moves and stand a chance to win Pentagon signed merch. 1. Follow Pentagon and show us your best moves in their latest MV 'Like This'!